Are You Planning To Build A Truly Unique And Modern House? Most of our clients are leaders of industry, professionals, individuals and homeowners who expects nothing short of design perfection…and we actually prefer it that way. 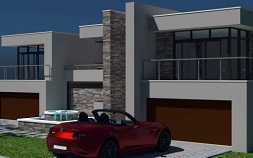 Our clients understands property values hence they prefer our detailed construction drawings. 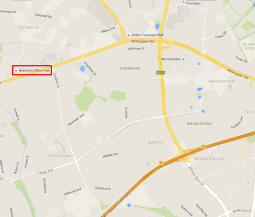 Building in and around JHB, Sandton, Midrand, Centurion & PTA? Get a FREE Quote for a once-off, custom designed house plan that is unique to your needs. 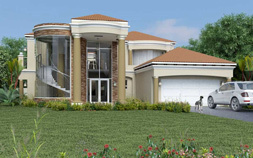 Browse Our Wide Range of Pre-Drawn House Plans That Are Ready To Build. 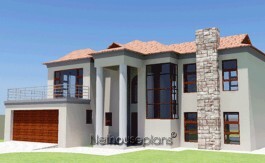 As you will also see, our clients saves time and money when buying our house plans online. For the past 10 years online service, Nethouseplans has grown to be so good at offering only the best quality and efficiency that a growing number of our new clients now comes from word of mouth. DO THIS NOW: Go to the top menu of this page and click on SEARCH. On the drop-down menu, select any search parameter you like and browse the wide variety of house plans on offer. Still Can’t Find The Right House Plan? Why Not Modify A House Plan To Suit What You Really Want? It’s actually way cheaper than to start a new design from scratch! All our house plans contains further information on the features, sizes and amenities that each house plan offers. To see whether a plan will fit on your site DO THIS: In the House Plan Page look for the PLAN DETAILS button just under the house plan images. Check the FRONT-TO-BACK and SIDE-TO-SIDE measurements to see if that plan will fit your plot/stand or not. Our Technical Advisors Are Waiting To Assist You Every Step Of The Way. 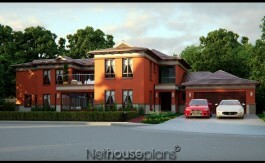 We bought our house plan from Nethouseplans seeing your impressive range of double storey house plans your website. All in all, it worked just perfect for us. Our plans were approved by our homeowner's association and then by the municipality without any problems. We'll have no problems referring our friends and families to Nethouseplans. Many thanks for all the support we received. The high level of service and dedication to seeing things done is what we were looking for. 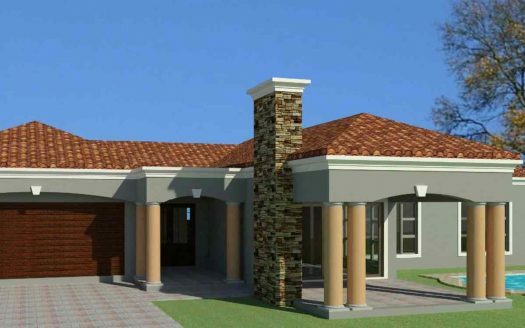 Nethouseplans delivered on that expectation and I would highly recommend you to anyone who is in the market for a house plan in South Africa. 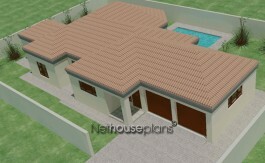 Why Buy House Plans From Nethouseplans? 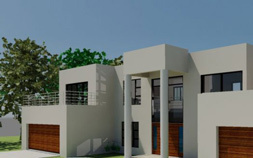 With more than 10 years of online presence, Nethouseplans has become synonymous with selling the most up-to-date collection of modern south african house plans at affordable prices.. Our ready-to-build house plans range from small house plans to the most luxury modern house designs you will find. Our customers are now used to saving between R50 and R300.00 per square meter on typical costs of architectural design services. In one location, we have personally picked the best home plans online for you, saving you time by bringing complete modern house plans at a click of a button. In addition to reduced costs, we also feature our best-selling home designs that includes an exclusive signature house plans collection, 3D Design views, doors and windows schedule and a comprehensive ready-to-build set of building plans. The 3D images/schematics are packaged with the plan sets and provides a valuable reference during the construction phase of your house. 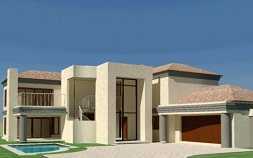 So for a fraction of the cost of custom designed house plans, you can browse our collection of modern house floor plans and buy the best house building plans that will suit your budget and taste while saving you a considerable amount of time. There are a lot of considerations as you prepare to build your new home. Whether it’s your first time building a house or you’re a seasonal developer, don’t worry — At Nethouseplans we will provide you with valuable advise just as we’ve been doing to many of our previous clients who have now successfully built their dream homes. You’ve come to the right people. We understand that finding and purchasing a set of house plans that fits perfectly to the needs of your family is very important to you. 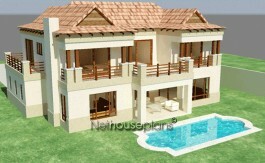 At Nethouseplans, we have been helping families find the perfect house plans for over 10 years. We have the experience, reputation and knowledge in the industry to best assist you. What style interests you? 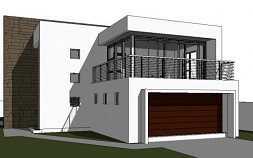 A modern Tuscan home, Contemporary design, Bali style home design, country style, small house plans and traditional floor plans. 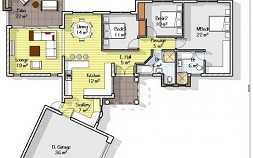 What about garage plans and pool plans? 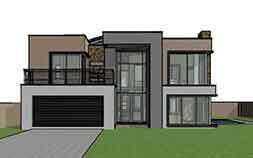 Most of our house plans can be modified to suit your design taste. We can even design your own unique custom signature house plans. Feel free to use our experience to cut through some of the difficulties – just ask our service consultants for a free quote today. For additional information, please refer to our FAQ page. 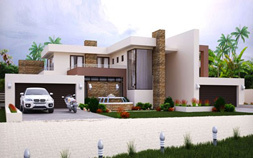 because of the high quality contemporary house design and control processes our house plans are reliable, accurate, builder tested, you avoid many costly delays and errors that comes with a lengthy custom design process. Because you buy a ready-made house plans, there is no need to go searching for an architect > shortlist > appoint > brief > consult > wait for sketches > review the sketches > brief > revisions > meetings > back & forth communication> more revisions > progress payments > more meetings > detailed drawings, etc. Added to that, is the uncertainty of a total budget estimate that a custom home design process will eventually cost you. In contrast, our house plans are issued with a discounted rate that is fixed for all house plans in our collection. It is almost like getting Free Modern House Plans. 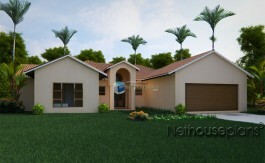 The 3D house design visuals will also help you to envision how your house will appear once completed. Thus assisting you to make an informed decision without wasting a substantial amount of money. The time saved will also ensure that you start and complete other processes (ie. Bond application, builder’s quotes, construction commencement and completion, etc) much sooner and saving even more costs in the process. 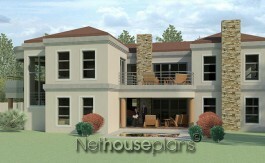 At Nethouseplans, we always strive to understand your thoughts and shape them into a well-versed house plan. What you think of, just tell our experts. 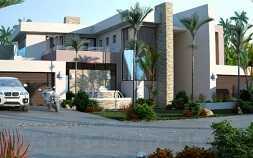 They will bestow you upon with modern house designs and plans, based on your told concept. 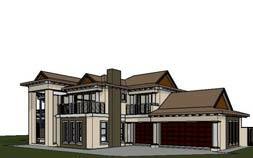 And, then, we integrate your idea and our CAD software to design house building plans, including house floor plans, etc. You are free to contact us with your conceptual idea and design. 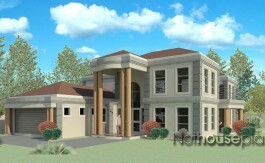 We will create minimalistic house plans online for you. Pitch your desired quote or design at your own convenience!